Devastating, and beautiful.Savage Alchemya poem for Kade BoehmeMeld grief and joyMake mettle, and fire againAgain. This painIn crucible refinedBut limns beautyFor ever. 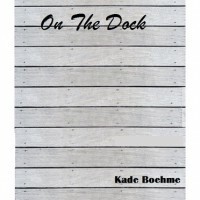 ©2013 JAGOn The Dock is a heartbreaking short story. Flawed—but unequivocally recommended.Seriously. Read it.